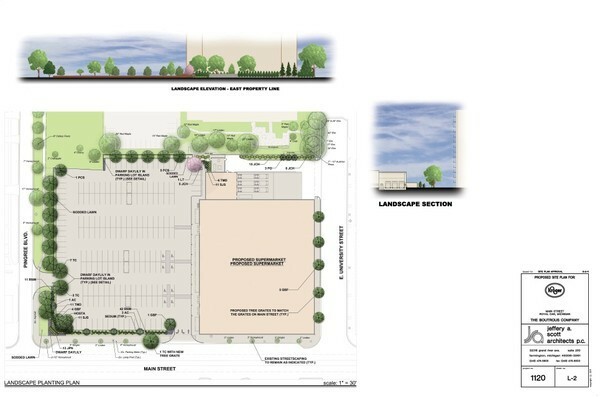 If you live in Royal Oak you might have heard or read recently about the proposal to bring a Kroger store to the old Fresard Dealership site in Downtown Royal Oak. It has gotten both support and backlash from both citizens and business owners alike. The Kroger “team” will present their project tomorrow, Tuesday June 14th, to the Royal Oak Planning Commission for approval. As with past projects that seem to be on the larger scale this should draw a fairly large crowd. For more information on the specifics please check out this article. Be sure to follow us on Twitter as we live tweet from the meeting. This entry was posted in Detroit and tagged downtown royal oak, fresard, kroger, preserve royal oak, Royal Oak. Bookmark the permalink.